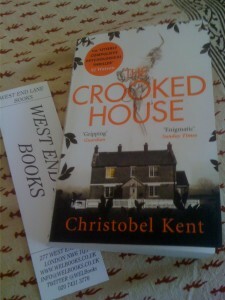 THE CROOKED HOUSE by Christobel Kent. It’s a fantastic premise and I was hooked from the first few pages. The writing is assured and rhythmic; Kent knows her setting extremely well and she isn’t afraid to describe it. A lot of recent thrillers seem to have been written in fast-forward mode, rushing the reader through the chapters with barely a glance at location and virtually no time spent on conjuring up atmosphere. This novel relishes detail, yet it still has pace. Kent takes us effortlessly back and forth in time, revisiting the night of the tragedy and gradually re-positioning Alison’s place within it. An array of strange, damaged characters ooze from the grey mud of ‘Saltleigh’ on the muddy Thames estuary and there’s a creepy ‘Twin Peaks’ feel about the place. Bad stuff happens here, the locals deal with problems in their own way and nobody trusts the police. Detective Sarah Rutherford in her shiny grey trouser suit, starts from a position of certainty about her original investigation but is persuaded by Alison to reconsider – there is a convincing tenderness between the two women. But there are possibly too many characters and too many sub-stories from the past and I know from my crime fiction book group that several readers became confused and irritated. Of course, the confusion is to a large extent deliberate because rather than discounting candidates for killer along the way, Kent chooses to keep them all going until the end, when they converge – some of them in unlikely and rather melodramatic fashion – at the Wedding from Hell. But this is just a sideshow. 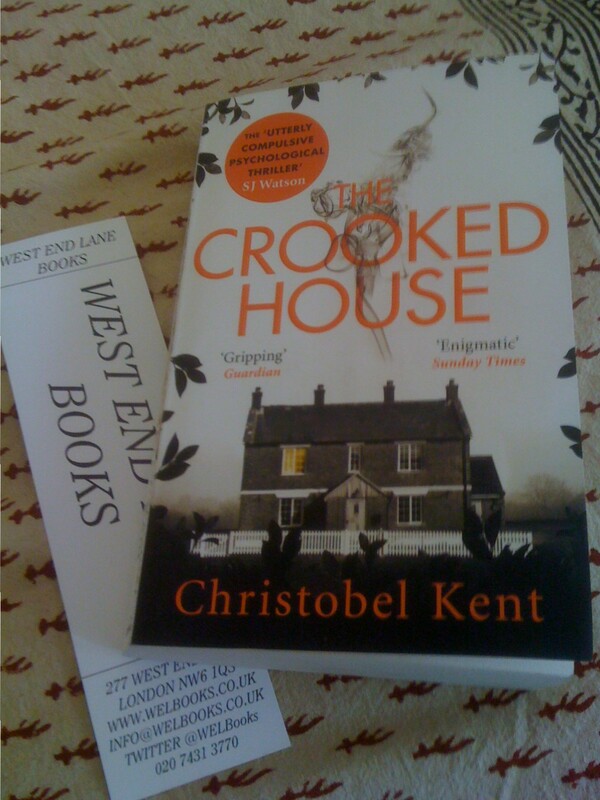 The actual climax inevitably takes place at the Crooked House; it’s truly spine-chilling and I wanted to leap into the story and save Alison, fearing that her survivor’s luck might have finally run out. Tip: read in as few sittings as you can or you’ll forget who’s who. Published by Sphere. Recently published in paperback – available on Amazon but preferably from your local bookshop, in my case the fantastic West End Lane Books. it and come back to learn extra of your useful info. Thanks for the post. Thanks Dalene – I’m reading I Let You Go at the moment and will be putting my review up on the blog soon. Please come back!